Raymond is the founder/CEO and managing partner of Prodigy Capital Management, LLC, an asset management firm of Prodigy Capital Partners and Prodigy Asset Partners fund of hedge funds. Through his vast global network in alternative investment industry, he has an access to top-tier globally renowned hedge funds and promising emerging funds. His two fund of hedge funds have established globally diversified and low correlated investment portfolio to reduce risks and generate superior risk-adjusted returns. He is currently providing portfolio constructions and establishing SMA platform to Korean institutional investors who are interested in hedge fund investments. He also helps introducing U.S. and European hedge fund managers to Korean institutional investors through marketing and PR. Prior to his position as hedge fund manager, Raymond was the founder and CEO of Prodigy Venture, LLC, the U.S.-Korea cross-border venture capital firm that invested in late stage and pre-IPO companies, ultimately leading to successful exit via M&A, buyouts and IPOs. Raymond enjoyed a distinguished career as a marketing director for several prominent international marketing and advertising agencies for over 15 years. He has worked for such agencies as Ogilvy & Mather, Foote Cone Belding, Thomas G. Ferguson (division of WPP group), and BBD&O among many others. He has worked on such accounts as AT&T, IBM, American Express, Procter & Gamble, Parke Davis, Samsung, LG, and many more. 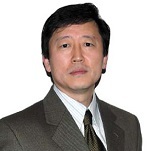 Raymond is the chairman and one of the founding members of INKE (Int’l Network of Korean Entrepreneurs, 80 chapters worldwide) New York Chapter, and one of the founding members of KASE (Korean-American Society of Entrepreneurs). He holds a BA and master degree in Marketing Communication at the University of Maryland and the BFA at SUNY (State University of New York). Born and raised in Seoul, Korea, Raymond moved to the U.S. in 1973.